“Out of Sight/Out of Mind: Role Playing Simulations for Municipal Decision Makers” (Interactive, Inc. & Citizens Environmental Research Institute for the Environmental Protection Agency, 2001) With the support from the federal Environmental Protection Agency the Company designed and produced, “Out of Sight/Out of Mind” a CD-ROM role-playing simulation to increase the capability of municipal officials with environmental decisions. “Money Masters: Personal Finance Training and Basic Mathematics for Young Adults,” level III interactive disc (Interactive, Inc. & IBM, 1988). “Money Masters” was jointly developed with IBM. This InfoWindow videodisc program taught basic math skills twice as fast as any other medium while changing the attitudes of young people toward personal money management. 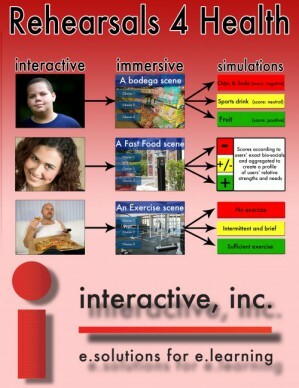 Using a five-year, $5.2 million grant from the U.S. Department of Education, researchers with “Project ALL” (Authentic Learning for Leaders) are developing the world’s first computer simulator that puts prospective administrators in the challenging role of leading a virtual middle school and then assesses their performance with those real-life situations. Job candidates work through a year-in-the-life of a school principal and see hundreds of leadership-related events, opportunities, problems, and possible solutions that are not always covered in textbooks or graduate lectures. Situations include dealing with demanding parents, completing personnel evaluations, enforcing curriculum decisions. As the user makes decisions, the simulation algorithm calculates a profile of strengths and weaknesses and that profile is sent back to the user and forward to the employer. “You see the problems faced by principals every day,” said Project ALL Simulation Director Dale Mann, Ph.D. “You make choices and you see the immediate and vivid consequences of those choices.” As the pattern of decisions emerges, they begin to affect the trajectory of the school. Bad choices lead to a cascade of unfortunate events, such as low student achievement or a hostile faculty. Better choices lead to a more successful school, more trust from the central office and even a promotion. “The simulator highlights patterns, such as whether the prospective educator is more likely to respond to central office requests over building-level needs, whether he or she prefers direct instruction over technology, or if that person is more comfortable with personal communication than impersonal communication,” said Project ALL Director Charol Shakeshaft, Ph.D., professor and chair of the VCU School of Education Department of Educational Leadership.